I am a huge advocate for shopping at Trader Joe’s, huge! Every week they bring in new items and I can’t tell you how excited I get to try them out! 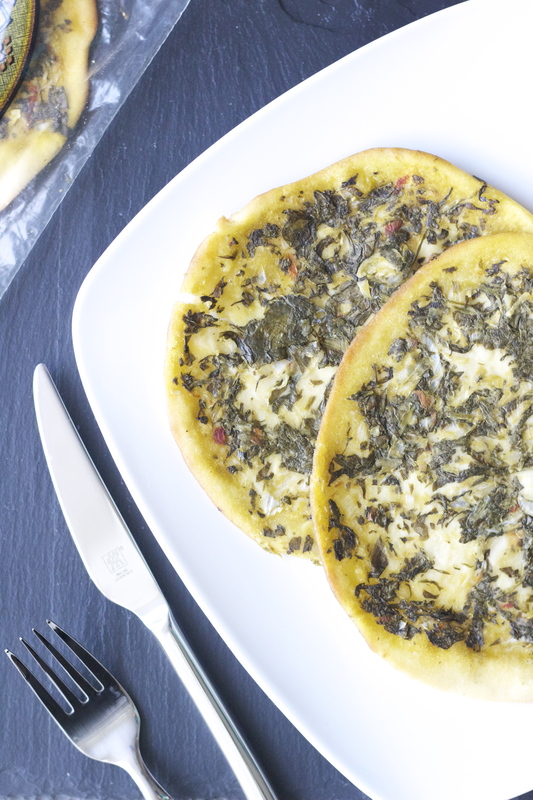 A couple of weeks ago, I was looking around the refrigerated section for pasta near the pizza doughs that they sell and came across these, LOW FAT Arabian Spicy Spinach Pizzas! Yes, low-fat! 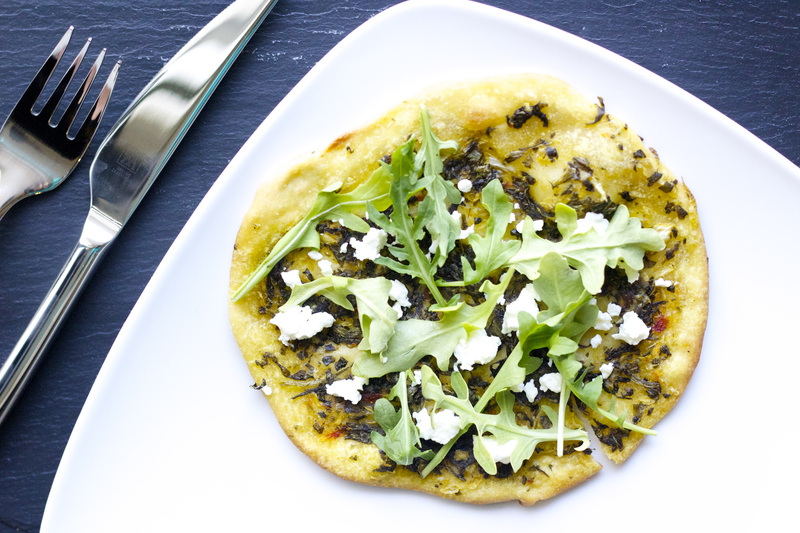 These pizzas are amazing to serve as an appetizer for your guests or just a snack for yourself. I like to dress them up with some goat cheese, arugula, balsamic reduction and EVOO to take them to a whole different level. What is more amazing is that you can freeze them too! If you are hosting a dinner party, I would totally recommend these as a starter with a salad on top, or just by itself! Toppings: Carmelized Onions, Goat Cheese, Feta Cheese, Arugula, Chopped Olives, Prosciutto, Balsamic Reduction, Olive Oil, Fresh Basil, Mozzarella, Sun Dried Tomatoes, Artichoke Hearts, Pepperoncini, etc. 1. Place pizza in toaster oven and toast to desired crispiness. 2. Top with desired toppings. 2. Bake for 3 minutes or until crispy.